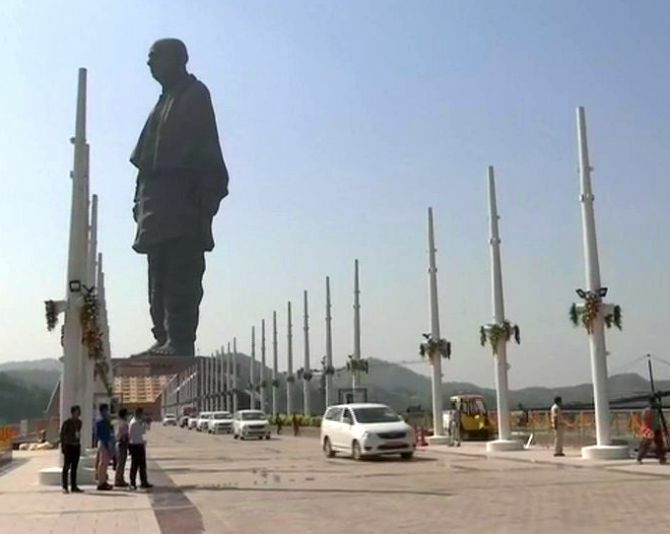 The Statue of Unity, a 182-metre giant structure built in honour of Sardar Vallabhbhai Patel, will be dedicated to the nation on Wednesday by Prime Minister Narendra Modi. After Modi unveils the statue, three Indian Air Force planes would fly past and create the tricolour in the sky by emitting saffron, white and green colours, said an official release Tuesday. 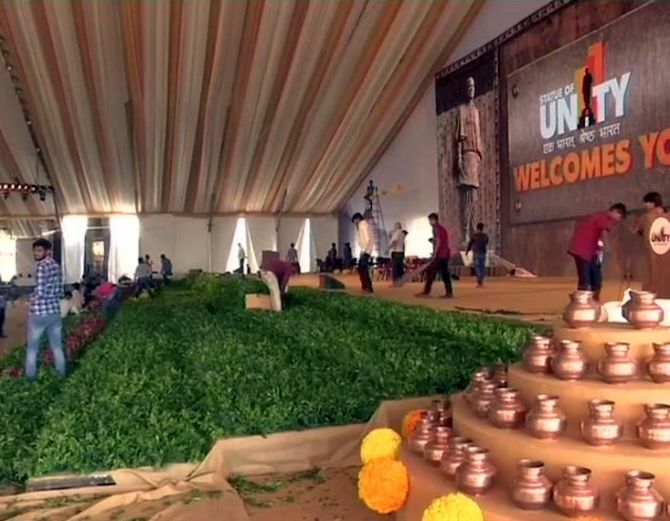 Modi would also inaugurate the 'Wall of Unity' (a monument defining India's unity) near the statue. 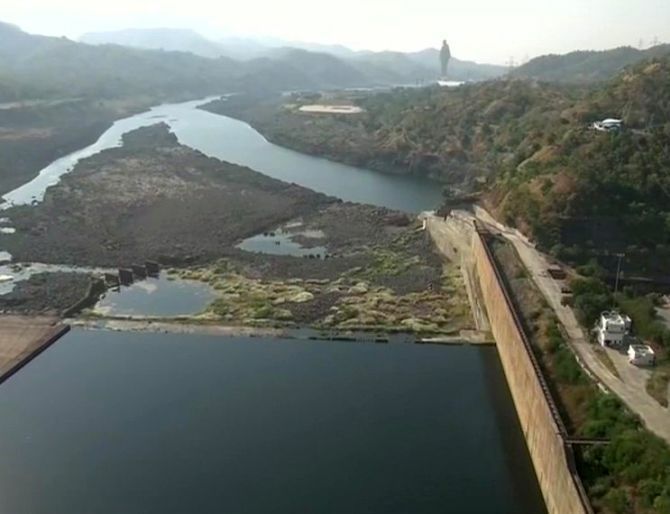 At that time, three Jaguar fighter jets would fly past the structure at a low altitude, said the release. 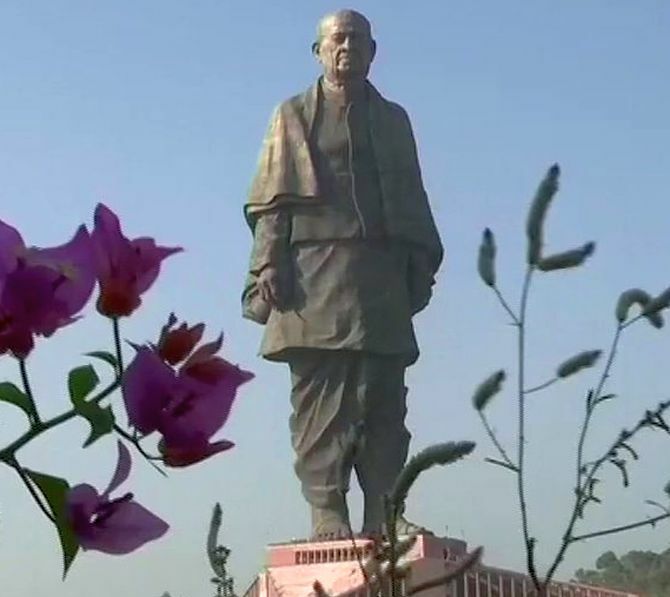 After inaugurating the Wall of Unity, Modi would offer floral tributes to Patel, whose birth anniversary falls on October 31. 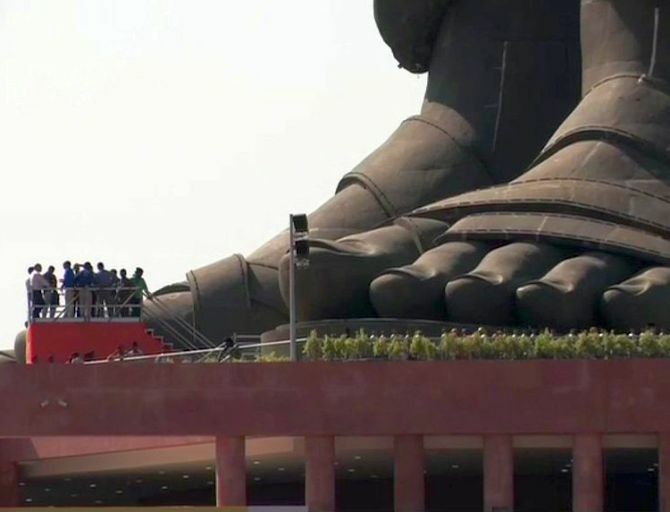 At the same time, two MI-17 helicopters would shower flowers on the statue, it said.